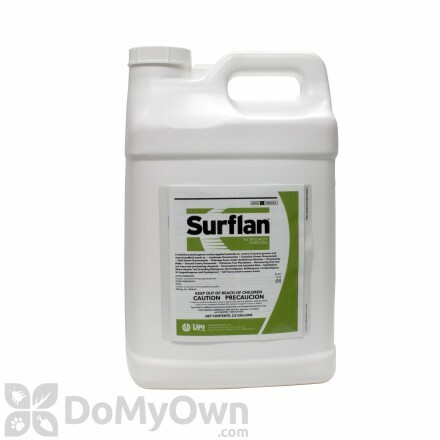 Oryzalin is the active ingredient in the preemergent herbicide Surflan . Physically it looks like a bright yellow-orange powdery substance. 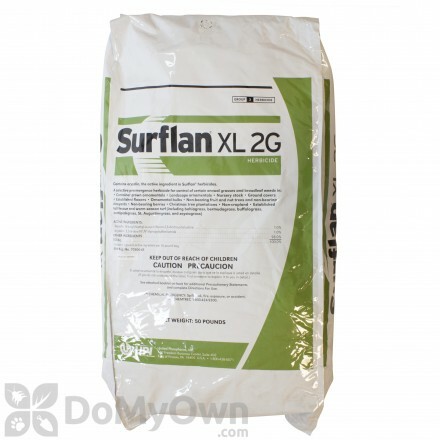 Oryzalin is used primarily for controlling and inhibiting weed growth in annual grasses and broadleafs. 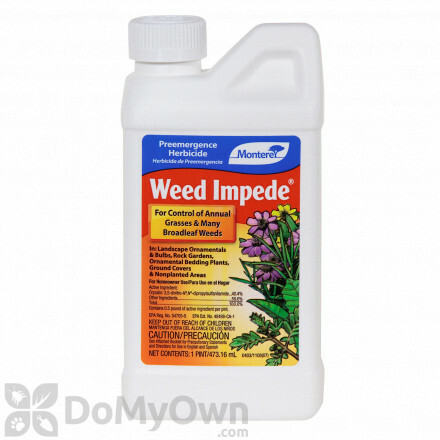 As the name suggests, a pre-emergent herbicide must be applied before weeds emerge to have any real effect. It is predicted that 80% of oryzalin use is on soybeans, with the remaining 20% being used in vineyards, almond orchards, fields of grain, potatoe fields, and other crops. A professional selective pre-emergent herbicide that controls annual grasses and broad-leaf weeds in commercial ornamental growing and warm season turf. A professional selective pre-emergent herbicide that controls annual grasses and broad-leaf weeds in commercial landscapes, container and field ornamentals and warm-season grasses. 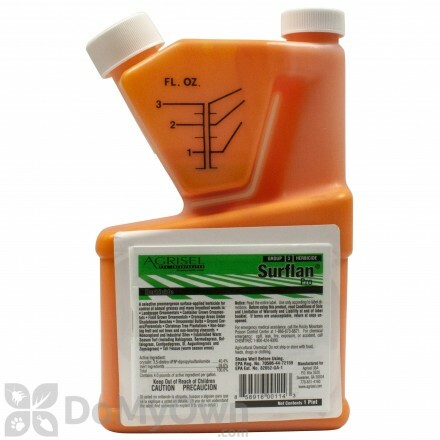 A selective pre-emergent herbicide that controls annual grasses and broad-leaf weeds in warm-season grasses. 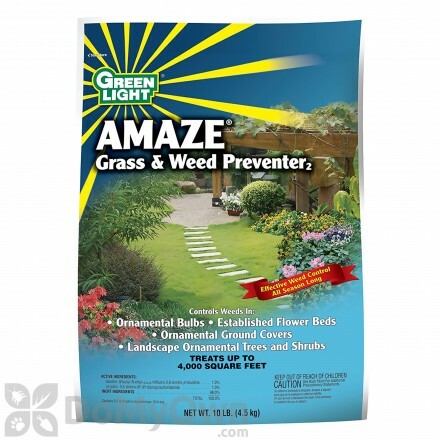 A professional selective pre-emergent herbicide that provides control of annual grasses and broad-leaf weeds in ornamentals, commercial landscaping, and warm-season turf-grass. 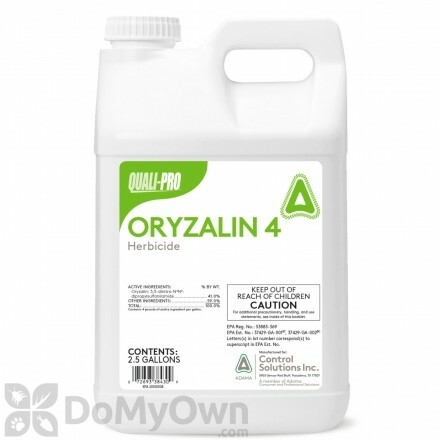 How does Oryzalin work to control weeds? Oryzalin controls weeds by disrupting plant microtubules, which are essential to maintaining cell structure. What does that mean? Well, basically oryzalin blocks the growth of plant cells so that weeds are not able to grow as they normally would. It is important to make the distinction that pre-emerent herbicides such as oryzalin do not destroy weeds but simply prevent growth. That is why they must be applied every year or the weed will eventually grow. Products containing oryzalin have to include the word "Caution" on their label. Oryzalin is moderately toxic to birds and fish. While it was originally grouped with other Class B2 (probable human) carcinogens, new research has called for a downgrade to a Class C (possible human) carcinogen. Oryzalin is available in aqueous suspension, dry flow-able, and wet table powder formulations.